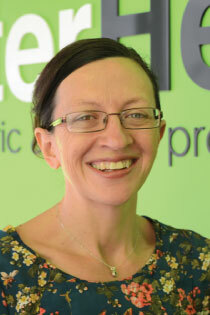 Janette has over 15 years experience in Women’s Health and Pelvic Floor Physiotherapy. Her extensive work in the assessment and management of incontinence, pelvic organ prolapse, bowel disorders, sexual dysfunction, pelvic pain and antenatal and postnatal care has enabled Better Health to take their treatment of women’s health issues to a whole new level. Passionate about continuing to develop and broaden her knowledge of the field, Janette has completed specialised Postgraduate Certificates in Continence and Pelvic Floor Dysfunction, Women’s Health (Obstetrics and Gynaecology) and Acupuncture. In 2009 Janette moved overseas with her family for over 3 years where she worked in London as a Clinical Lead Physiotherapist at King’s College Hospital. During this time, she completed further postgraduate studies, was deeply involved in lecturing and clinical research on the pelvic floor at King’s, and subsequently published several articles for international journals. Additionally, she was invited to become the reviews editor for the Journal for Pelvic, Obstetric and Gynecology Physiotherapy which reviewed new and upcoming books, apps and devices. Ever active in the field, she has published a chapter called Pelvic Floor in the Childbearing Year for a midwifery textbook. Enthusiastic about sharing her understanding and knowledge of the pelvic floor, Janette has presented at both Australian and international conferences as well as at numerous workshops. She is also a member of the Australian Physiotherapy Association (APA), International Children’s Continence Society (ICCS), Continence and Women’s Health group, Acupuncture and dry needling group and a professional member of the Continence Foundation of Australia (CFA). Janette grew up in Sydney and graduated as a Physiotherapist from Sydney University in 1996. She is married and has one daughter. She enjoys spending time with her family, walking and keeping fit.